Apprising Ministries has been warning you for a while now that Seeker Driven prophet-leader Steven Furtick Grows In Stature And Closer To The Word Faith Movement. Sadly, his Elevation Church (EC) is one of the more influential churches in the mainstream of the evangelical community and Steven Furtick himself is actually a sought-after speaker. 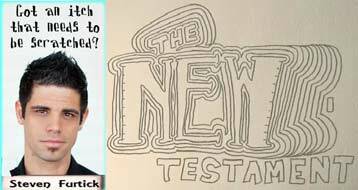 Furtick’s shtick is marrying Seeker Driven fables with Word Faith mythology; so, it was no surprise last year when we saw Steven Furtick As Televangelist At Lakewood Church Of Joel Osteen. [Jesus] loves the whole world. Then He’s betrayed; then crucified. Then He conquers death, giving life to all. Now you know Jesus is your real hope — And Peter said to [those who wished to be saved], “Repent and be baptized every one of you in the name of Jesus Christ for the forgiveness of your sins (Acts 2:38).